I respectfully welcome you on behalf of the editorial board of Polgári Szemle, the journal of social sciences. This publication is the recognised specialised journal of the conservative intelligentsia, and in 2017 is in its 13th volume. 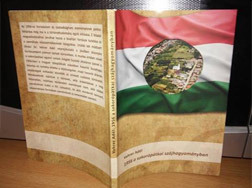 From this year onwards it will also be published in an English language version to provide the international audience with scientific analyses about Hungary, research results obtained in Hungary and economic and social developments in the region. The publication has been reviewed and has been qualified by the Hungarian Academy of Sciences. It is a popular publication space for Hungarian and international authors. Both the publication and the peer-review processes are subject to the highest level of moral and ethical principles. Prior to the crisis that erupted in 2007-2008, there was a general consensus among the key economic policy theoreticians that financial regulation was not a macroeconomic instrument, and the mission of monetary policy called for the “single aim, single instrument”, while doubts regarding the efficiency of fiscal policy became an entrenched pattern. In this approach, predilection to market participants’ automaticity and the minimization of the state’s role in economy organisation, control and regulation constituted the generally accepted pattern, and central banks operated as “islands” in the world of government finances. Thus the most important goal expected of monetary policy was the stabilisation of inflation, at a low level, possibly around 2 per cent. The reason for this was that back then the stabilisation of inflation was believed to also stabilise the output gap, and the closed output gap was thought to ensure optimum GDP growth, also accepted for welfare considerations. Cohesive society, trust and social cooperation are among the social arrangements and meta-institutions required for building good institutions and a well-managed state. Before the global financial crisis, Hungary was characterized by unsustainable public finances, a flawed and irresponsible fiscal policy, and consequently, weak economic fundamentals. This represented a suboptimal state management, with the basics of cooperation between the state and the economic actors were seriously damaged. For this reason, by the beginning of the decade, the renewal of state management and, above all, public finances had become imperative. The first step was the adoption of the Fundamental Law (new constitution), including a chapter on public finances. In Hungary, the energy sector was modernised on the basis of public ownership after World War II. Hungary’s large, centrally controlled and vertically integrated energy systems were established at that time. Simultaneously with the regime change, west-ern-based energy orientation also began in the energy sector and in 1990 it continued with the implementation of privatisation. Hungary’s accession to the European Union provided grounds for and reinforced the process ideologically. This was followed by full liberalisation called “market opening”. The policy of the second Fidesz government, formed in 2014, is characterised by the restoration of an energy policy serving national interests. This process is described in the article in a European perspective. This study shows that since the Keynes-White dispute in the middle of the 20th centu-ry, the global economic policy thinking is clearly determined by White’s views up until today. In the global monetary system, debt restructuring solutions are subordinated to the global economic order, and not to national economy policies, as shown by the recent examples of Greece, Hungary and Ukraine. 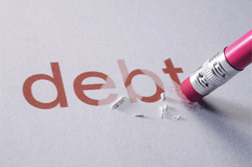 According to this thinking, basically the debtor is held liable for imbalance and over-indebtedness. Obviously, the system cannot solve balance of payments problems between countries and the ensuing debt crises. The free movement of goods and capital is given an absolute priority. Investing Safely and Lucratively: What is New in Hungarian Investment Law? 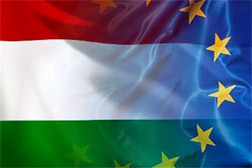 The aim of the article is to give an overview of the development of laws on investments in Hungary. 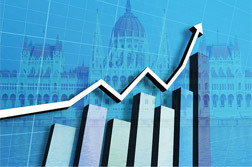 The paper aims to establish the concept of investment in Hungarian law. A key finding is that there is no general, all-encompassing investor concept in Hungarian law, as the definition may vary depending on the act reviewed. The paper outlines the changing role of the central bank in Hungary. As hedge funds have an important role in the financial sector, a brief overview is given of the regulatory changes relating to them. The conclusion of the paper is that the Hungarian trends in investments follows the general worldwide trends. Agencification has had a major role in the institutional development and handling of the financial crisis in the European Union. 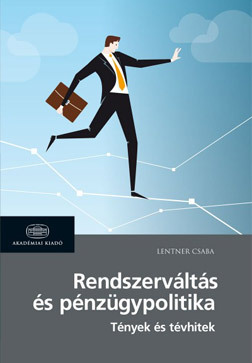 In this article it is examined whether this institutional trend, alongwith the institutionalistapproach ofRodrik, has played asimilarrole in post-2010 financial stabilization in Hungary, and if so, exactly how it affected the pro-cess. The focus is on public administration, which was renewed on the Fundamental Law enacted in 2011, and providing a basis for the new legal and institutional framework for the regulation and supervision of the financial markets. The purpose of this study is to formulate policy views from the perceived trends in re-gional development, as measured by the change in regional well-being indicators and urban prosperity factors. The theoretical foundations of these development policies are formulated by place-based regional strategies. 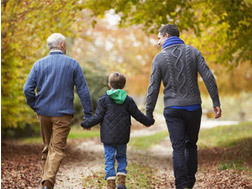 Based on the OECD database on well-being indicators, ranking by the Global Urban Competitiveness Research Centre and the International Congress and Convention Association, the authors have found that despite regional disparities and the centrum-periphery gaps, well-being in Hungarian regions has improved. Moreover, Budapest has good potentials in strengthening connections and accelerating development, and may display its advantages in attracting global production factors. The European Danube Region Strategy (EDRS) is a macro-regional development strategy and Action Plan for regions and countries in the Danube River Basin. Its purpose is to regulate the sustainable development of the Danube macro-region and the protection of its sites, landscapes and cultural values. 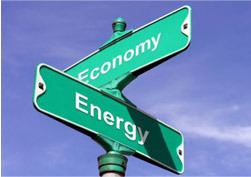 The strategy plays a particularly important role in promoting sustainable transport, in linking energy systems, in environmental protection, and in the preservation of water resources in order to improve the business environment and offer a wide range of opportunities for economic development in the macro-region. This study presents the European Danube Region’s Strategic Action Plan and its priorities, paying special attention to Hungarian activities and businesses. 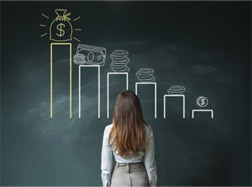 The paper analyses the factors of capital adequacy in the banking FDI of Central and East European countries by relying on the Bankscope database. The main hypothesis is that parent ownership mitigated the impacts of the financial crisis on commercial banks, as parent banks capitalized those affiliates which turned red in household and corporate lending. This type of cross-market rebalancing is tested by a regression analysis. 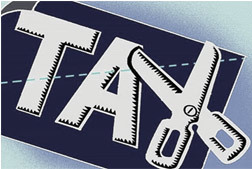 Several different factors were identified such as the too-big-to-fail phenomenon of parent banks, the FX rate volatility, the changing monetary environment represented by a 3-month market rate, the fiscal shock caused by sector-specific taxes and the risk of debtor failures represented by proxy of non-performing ratios. This study tries to shed light upon the unfavourable Hungarian reputation in Europe and the value of Hungarian country brand. In doing so, it explains the components and the formation of country image, association, awareness, loyalty and equity as well. The study concludes with showing the measures with which even small countries can improve their rankings in Simon Anholt’s global nation brand and good country index charts. These charts are based on the largest scale social big data study ever conducted and they exercise influence on the countries’ economic prospects. The study also reveals the global regions where the Hungarian government should focus country marketing in order to achieve the most rapid economic benefits. 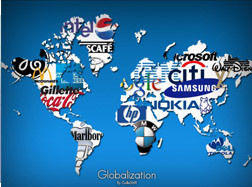 Although globalization has been going on for quite a time, after 1970 it took new forms. Foreign direct investments were made in increasing amounts just to optimize the value chains of large transnational companies. The activities requiring unskilled workers were outsourced to underdeveloped peripheral countries like China, Vietnam and Malaysia in Asia, and after 1990, to Romania, Slovakia or Hungary in Central and Eastern Europe. At the same time the activities that require skilled and high-quality labour were kept in Western Europe. TNCs made profits on the difference between the low wages paid in peripheral countries and high prices charged in developed ones. Decline in the desire to have children is a common problem in the developed world, and it is a challenge in post-soviet countries, including Hungary. 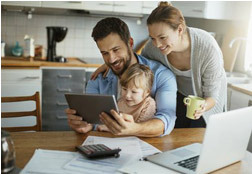 Changing lifestyles, perceptions and financial stress are the underlying reasons. 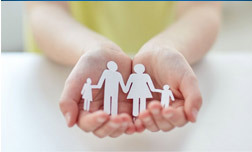 The Czech, Slovakian, Spanish, Portuguese, Irish and French government interventions are analysed with focus on family subsidies and fiscal policies, in comparison to the decisions taken by the Hungarian government after 2010. Research is built on the assumption that child benefits (family allowances and housing subsidies) increase the willingness to have children. In his book titled The Shape of Time. 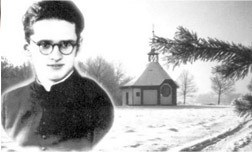 Remarks on the History of Things, George Kubler criticised the nature of chronologically and linearly approached and explained historical concept. He claims that applying biological metaphors to the periodical changes in history results in the adverse consequence that it presumes repetitious life cycles in different eras of the past. Shaping a new criminal method or trick is mutatis mutandis an initial sequence-starter object, just like a painting projecting a new, original ap-proach. However, not only the existence of the original work of art is necessary, it must be subject to reliable verification, we cannot always identify the first perpetrator of the given criminal method. In 2017 the world has celebrated the 500th anniversary of Reformation, for this occa-sion countless events and publications commended the significance of this historical event, thus the work of Martin Luther and of course John Calvin as well. 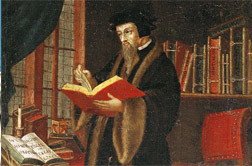 Surprisingly, the economic aspects of Calvin and Calvinism have not been stressed, although it seems that the national economy literature, but from other point of views in the scientific world, such as theology, political sciences and history has been controversially working for over more than a century about this topic. This study seeks to fill this gap after the jubilee year. It is achieved by colliding the two extreme positions that Calvin has no effect on the economy or, on the contrary, they see him as the forerunner of capitalism. The author describes the life of the most important Hungarian physicians, Ignaz Semmelweis, the circumstances surrounding his death, the story of his discovery, and reactions by his contemporaries and the next generations. He focuses on the historical, intellectual and scientific historical relations that paved the way for Semmelweis’s thesis, its proof and its acceptance. 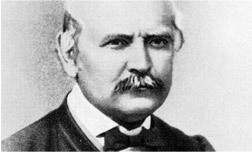 In the opinion of posterity Semmelweis was an excellent researcher and a great humanitarian, who fought for others’ lives until his death without sparing his own health. His tragic fate was raised to heroic heights by the fact that he did not live to see the practical use of his life-saving discovery, and even his death was caused directly by the very disease he had described and identified a prevention for. The study of Hungarian people’s folk beliefs has long been a major field of research in ethnography. Studies focus on rural people’s theories of the functioning of the world, mythological figures and people with supernatural powers. 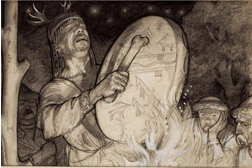 In folk culture this worldview and knowledge was passed from generation to generation up until the second half of the 20th century. However, hardly any of these mythological figures have survived in the public mind. This is exactly why research in this topic and a summary of the previous achievements are important, and this study will raise a few typical and important questions. By the end of the 16th century the different branches of the Reformation had created their own churches, or denominations, in the Carpathian basin. Over half the total population of Hungary and Transylvania were Calvinist, about a quarter were Lutheran, while the remainder were Unitarian, Catholic, and Orthodox believers. Therefore nearly 90% of the population were Protestants. The first part of this study discusses the beginning of the Reformation in Hungary and the way it spread. In the second part I analyse the heritage of this spiritual movement in relation to four different fields. 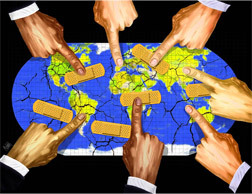 The 2008-2009 global crisis created major challenges for fiscal policy, monetary policy and the financial regulatory authority at the same time. To respond to these challenges, proactive and innovative solutions were needed. 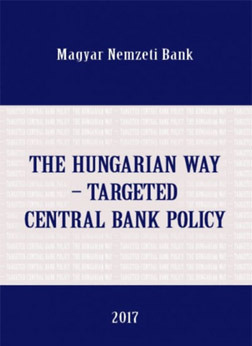 This paper presents the niche volume of the Magyar Nemzeti Bank (National Bank of Hungary), which describes the measures that resulted in the turnaround of the Hungarian fiscal and monetary policy. The handbook entitled Management for the Benefit of the Public. Public Finance Admin-istration and Management includes studies by well-known Hungarian authors, mainly economists. The book review emphasizes that in addition to being a gap filler innovative reference work, it is an excellent textbook for public service experts as well as for specialists in the early stage of their careers. Significance of the economic policy reforms and the specific need for a new type of public service managers are highlighted in this book. The author of the review points out that the professional methods, needs, required knowledge differ in the public and private sectors. In her new book, Dr Adél Vehrer, ethnographer, associate professor and an emblematic personality of her generation in this discipline, explores the essence of the national unity created during the 1956 Hungarian Revolution and Freedom Fight, an event that also influenced international history. This review aims to highlight the correlations in this complicated process, in the hope that the book, while serving our generation, will be a cu-riosity in the future. 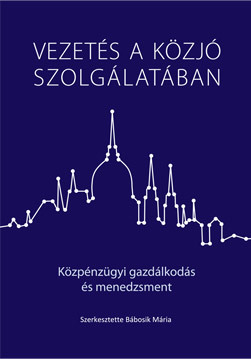 The English translation of the book was published simultaneously with the Hungarian version.